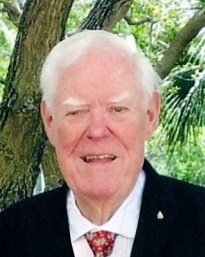 Kenneth “Ken” F. Carr of Madera died on Tuesday, April 2, 2019 at the age of 79. A resident of Madera since 1970, Ken was born in Cincinnati, Ohio to Ralph and Ruth Carr. Ken later attended Arizona State University and graduated with a degree in Animal Science. He worked for Bayer Corp., Animal Health Division as a salesperson and regional manager, until he retired after 30 years. After retirement got boring, he became one of the founding members of MultiMin for 7 years until he retired for the last time. Ken was a member of the California Cattlemen Association, Madera Cattlemen’s Association instrumental in helping to found the Allied Industry; was on the Registry of Professional Animal Scientists for Beef, was instrumental in keeping Bayer’s sponsorship going for the Cattlewomen for 25 years which is still continuing to date. He served on Boy Scouts, The Madera Marlins Diving Club and was a member of the Madera Masonic Lodge. Ken was a devoted father and husband. He loved all his years of work and making friends all over the country, which he treasured as well as his local Friends. In addition to his parents, Ken, was preceded in death by his half-brother Robert Carr of San Francisco, CA. He is survived by his wife Judi of Madera, son Dr. Glenn Carr, daughter Denise Roberts and granddaughter Samantha Roberts of Madera. The family would like to thank all our fantastic doctors for the time and care they gave to Ken, Dr. Bobby Eghbalieh, Dr. Thomas Hackett, Dr. Michael Lynch, Dr. William Ebbeling, Dr. Everett Ali and all their staff. In addition, we would like to express our gratitude to the Hinds Hospice staff for all their loving care and support. The funeral service will be held at Jay Chapel in Madera, Monday, April 15, 2019 at 11:00 A.M. with interment at Arbor Vitae Cemetery, a reception will follow at Grace Community Church, 17555 Road 26, Madera, CA. In lieu of flowers, donations may be made to The Pancreatic Cancer Action Network, 1500 Rosecrans Avenue, Suite 200, Manhattan Beach, CA, 90266-3721, Hinds Hospice, 2490 W. Shaw Avenue #101, Fresno, CA 93711, or Valley Children’s Hospital, Children’s Behavioral Unit Services, 9300 Valley Children’s Place, Madera, CA. 93636.